Roma needed a penalty from 40-year-old forward Francesco Totti in the seventh minute of stoppage time to scrape past second-tier Cesena 2-1 in their Coppa Italia quarter-final on Wednesday. Totti, who has only made sporadic appearances this season, sent his shot into the bottom corner with the last kick of the game to earn Roma a two-leg semi-final against neighbours Lazio. It was the third goal of the season in all competitions for Totti who is in his 25th season at his only professional club. 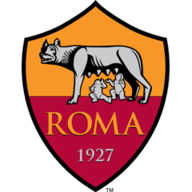 Visitors Cesena had enjoyed slightly the better of the exchanges and were set to take the match into extra-time until a clumsy challenge by goalkeeper Federico Agliardi on Roma midfielder Kevin Strootman led to the penalty. Roma, second in Serie A, broke the deadlock in the 68th minute when Radja Nainggolan slipped the ball to Stephan El Shaarawy and he passed to Edin Dzeko, who tapped in from close range. 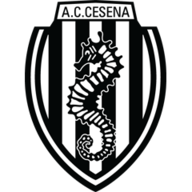 The Sea Horses, who are stuck in the Serie B relegation zone after dropping down from Serie A last season, levelled five minutes later. Goalkeeper Alisson tried to intercept a long ball but collided with Kostas Manolas and substitute Luca Garritano was left with the job of turning the ball into the empty net. Agliardi saved a Totti free kick and intervened just in time to stop Dzeko getting his head to a Bruno Peres cross but undid his good work by giving away the penalty.